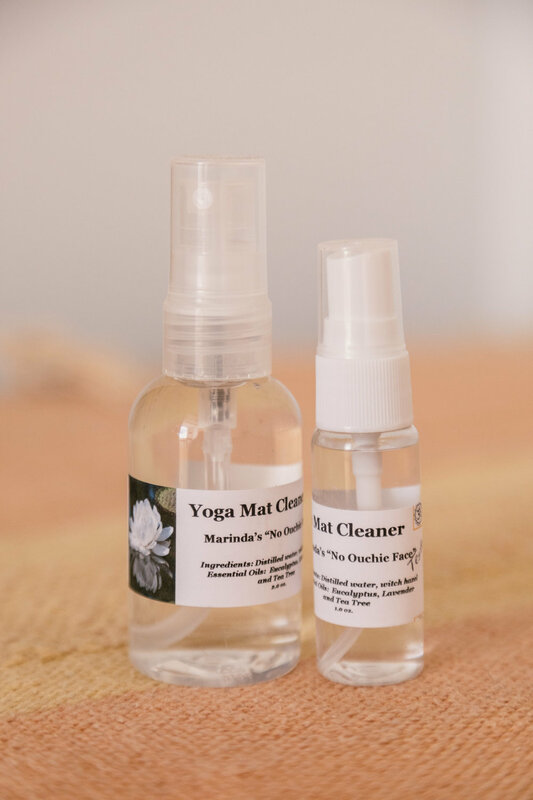 For the last couple weeks, we’ve been sharing the hearts and stories of some of our favorite vendors, and today we would like to know a few things about Yogi G Natural Products. Read more below. 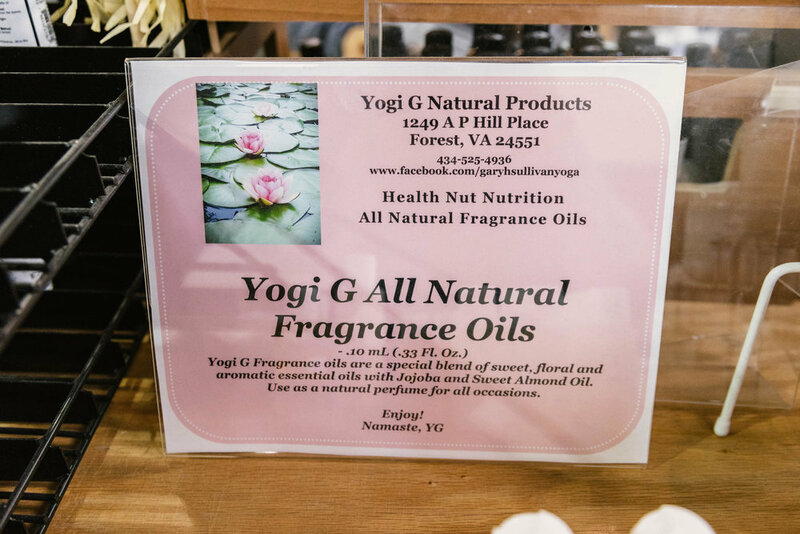 A: Yogi G Natural Products is a sole proprietorship [owned by Gary Sullivan] that offers natural body products and custom essential oil blends. A: We just completed our third year offering custom body products to yoga students and others interested in all-natural body products. 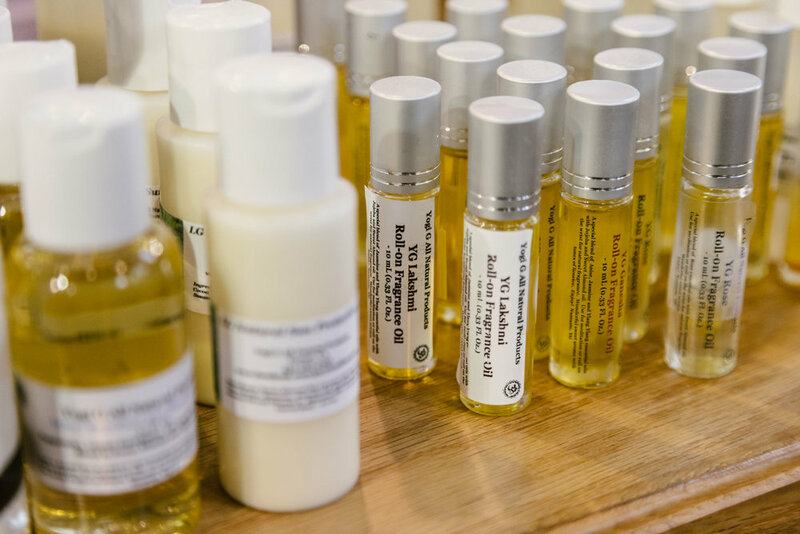 A: Custom essential oil blends, all-natural fragrance oils, body butter, and massage oils. Also, insect repellent, mat cleaner, and sunscreen are offered on a seasonal basis. A: All products are made in my custom kitchen in Forest, Virginia. A: Organic and natural raw materials and 100% essential oils are sourced from bulk suppliers with full guarantee of quality. We purchase only quality products from major suppliers in the global marketplace. A: I began offering natural body products as part of Yogi G Yoga Workshops business in August 2014 to complement the practice of yoga with aromatherapy. A: The benefits of combining yoga with essential oils promote healing of physical injuries and stress relief. All natural body products promote physical health without toxic chemicals and stabilizers found in commercial products. A: I continue to add products based upon customer requests and needs of the natural products community. A: I love supporting the mission of Health Nut Nutrition to provide the highest quality natural products and services to the Lynchburg community.